A Year of Being Here: Marge Piercy: "Rising in Perilous Hope"
that will not flow through my fingers? in your mind like burrs, chiggers that burrow? on your bent head and bellow prayers. what could I do but what I do now? it is a given like the color of my eyes. a cloak of clean sweet mist and swirling terns. 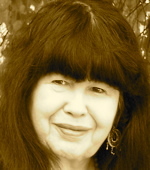 "Rising in Perilous Hope" by Marge Piercy, from Colors Passing Through Us. © Alfred A. Knopf, 2004. 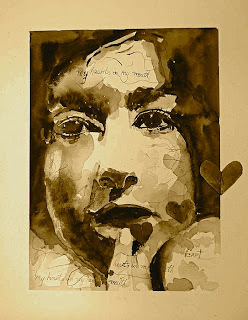 Image credit: "My Heart's in My Mouth," watercolor, by P. Maure Bausch (originally color).